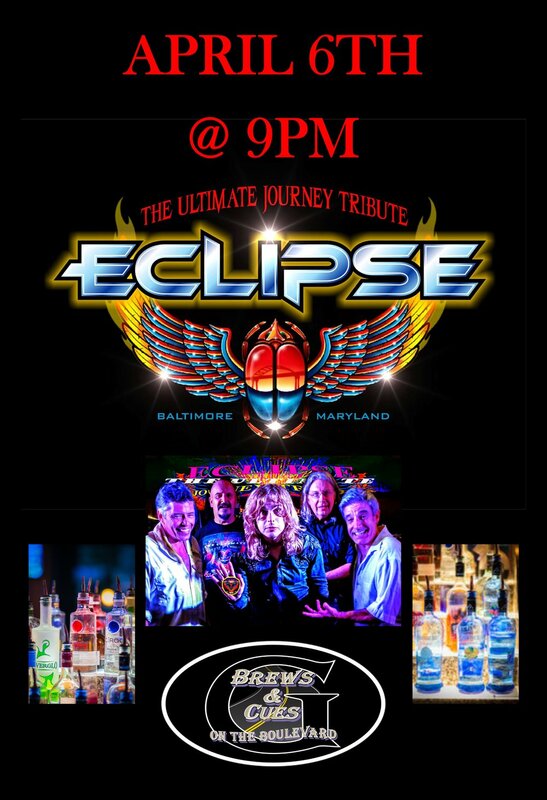 ECLIPSE a Journey Tribute was formed in 2013 in Baltimore, Md. A five man musical unit that recreates and captures the spirit, sound and innovation that is the live Journey experience. From the angelic vocal styles of Steve Perry to the eclectic but yet delicate guitar works of Neal Schon, the keyboard wizardries of Greg Rolie and Jonathan Cain combined with the intricate bass and percussion work of Ross Valory and Steve Smith. Eclipse a Journey Tribute captures the total package that is Journey.